I read on a blog recently that the secret of a romantic comedy is to have the two leads as different from each other as possible — and be antagonists. To test it, I thought about some of the ‘great’ (entirely subjectively) romantic comedies: Much Ado About Nothing, [amazon_link id=”B004GCK6XY” target=”_blank” container=”” container_class=”” ]Notting Hill[/amazon_link], 10 Things I Hate About You (a rewrite of The Taming of the Shrew) and all ten series of Friends. The claim, I feel, stands up only partially in each of these cases. In Much Ado About Nothing, Beatrice and Benedick are clearly antagonists, but in many other respects are entirely similar. In Notting Hill, Hugh Grant’s character Will Thacker and Julia Roberts’s Anna Shaw are never antagonists (despite tensions in the middle part of the film), and, aside from their very different roles in society, are quite similar in their desires and outlook: both have been previously disappointed in love, retain a cynical outlook on life, and a similar take on art. In 10 Things I Hate About You, although Heath Ledger’s character Patrick Verona is selected by plotters Cameron James and Michael Eckman as, essentially, the only person in the school scary enough to take on Kat Stratford. Although much is made of some minor differences — Verona smokes, Stratford hates smokers — the two characters are the most closely paired in terms of personality. Again, although they are (at the plot climax) antagonists, they begin the film defined by their antagonism to everyone. In Friends, the two most unlikely pairings — Rachel and Ross, Monica and Chandler — are brought together, whereas the ‘obvious’ pairing of Joey and Phoebe (because they are both confident people who fall easily into relationships) is scrupulously avoided. But, in terms of their emotional empathy and vulnerability, Rachel and Ross are closest, and in terms of their slightly cynical, sarcastic dissatisfaction with themselves and life as a whole, Monica and Chandler are closest to each other as well. It’s a fairly obvious conclusion that a romantic comedy is going to work best when the antagonism or difference of personality (or both) is at the surface, but at a deeper level the audience can see, generally before the characters, that they have similarities which separate them from the other characters. Surface difference, deep unity. Easy. But what about other possible pairings? What do you get when you put characters who are similar and already like each other together, or characters with nothing in common at any level, or characters who are on the surface entirely compatible, but at a deeper level are not? If we accept for a moment that the recipe for a romantic comedy is surface differences (she’s a film star he owns a bookshop, he represents men who care only about themselves, she represents women who detest men, he’s a paleontology nerd, she’s the fashion queen) coupled with underlying similarities, what about the others? In Much Ado About Nothing, the pairing which looks like it is always going to work out is Claudio and Hero — unless events take a hand. They are so completely compatible, both at the surface and at a deeper level that there is not enough there to make into a good story. Evil doings by Don John, the vengeful brother of Claudio’s friend Don Pedro, threaten to disrupt things, but it all comes out well in the end. As a sub-plot this works very well, as a main plot… perhaps not. The other famous pairing in Shakespeare who are instantly attracted to each other and similar at a very deep level are Romeo and Juliet — and this is headed straight for tragedy. 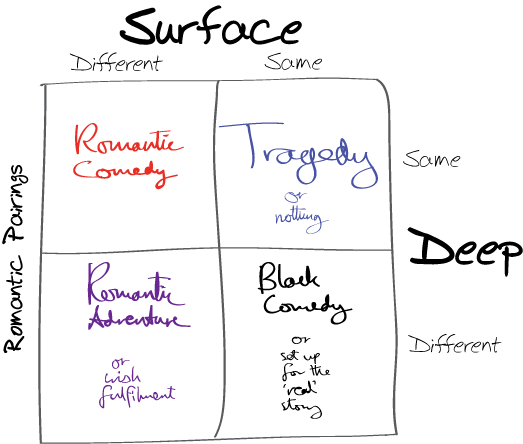 I’m confident that Shakespeare could have made a ‘similar on the surface – similar deep down’ pair work as romantic comedy, because Shakespeare was essentially capable of making anything work, but it’s instructive that, as a main plot, he chooses not. The same is true in Pride and Prejudice. The story turns around Lizzie and Mr Darcy, a natural rom-com pair. One of the two sub-plots (the other being the seduction by Mr Wickham of Lydia) is the story of Jane and Mr Bingley, who are characterised by Jane’s father at the end as both being far too good and kind for their own good. Like Shakespeare, Austen chooses to tell her main story about an apparently incompatible couple, keeping the entirely and obviously compatible couple as a sub-plot. It is not really that difficult to figure out why. There must be conflict for there to be drama, and a story worth telling. Couples that fall instantly in love and remain completely in love for the rest of their lives are rare, but real. I can think of two among my friends without having to really consider hard. The thing is, without some spectacular turn of events to pull them apart, which is either going to be a tragedy or a last-minute-win comedy, there really isn’t a story to tell. “D & S met and instantly fell in love. The more time they spent together, the more they found they had in common. So they got married, and remained hopelessly in love. All their children turned out nice. The end.” It’s not a great story, though it’s a great marriage. The opportunities for tragedy, though, are immense. The most famous prose romantic tragedy of them all, [amazon_link id=”0141439556″ target=”_blank” container=”” container_class=”” ]Wuthering Heights[/amazon_link], is a story of two people who were not just completely compatible, they were almost identical: as Catherine says at one point “I am Heathcliff”. Partly through the class system, partly through their own stupidity, and to a large extent a result of the wilfulness which is one of their most obvious shared characteristics, Catherine and Heathcliff are destined never to be together, even though every reader can see right from the beginning that they ought to be. Again, if Catherine and Heathcliff had understood at the appropriate moments that they could only be happy if they were together, the story would have ended fairly early. Moving on, what about characters who are on the surface suited to each other, but at a deeper level not? The seeds of sub-urban marital break-up, this is a topic which has fascinated 20th century UK playwrights, especially Alan Ayckbourn. A good example is Season’s Greetings, where the catastrophically stupid choices of characters who chose partners based on superficial attraction some years before are played out in one bitterly farcical Christmas. But this is also the basis of the relationship between Edward and Lavinia in T S Eliot’s [amazon_link id=”057105188X” target=”_blank” container=”” container_class=”” ]The Cocktail Party[/amazon_link]. In the Cocktail Party, Lavinia sets out explicitly that she married Edward based on superficial attraction, and Edward responds that he married her because other people told him they were so well suited. 1 Of course, the turning point of the play is when a new spiritual understanding gives them both a profound connection which they previously missed. An alternative story position for the ‘seem so well suited — actually not’ couple is as a set up for the main action. At the start of Romeo and Juliet, Romeo is in love with someone else — Rosaline — who shows no real interest in him. Rachel runs out of her doomed wedding just before the first episode of the first series of Friends, and we later see how their superficial attraction would have ended in disaster. Likewise, Chandler’s spends much of the first three series getting in and out of a relationship with Janice, the main point of which, dramatically, is to demonstrate the deeper, underlying pull to Monica. Finally, there is one more pairing — the couple that are, superficially, not suited to each other and, deep down, are not suited to each other either. This is actually the pairing in [amazon_link id=”B0009RB5AS” target=”_blank” container=”” container_class=”” ]Romancing the Stone[/amazon_link], where events bring together a couple who have absolutely nothing in common — at any level. 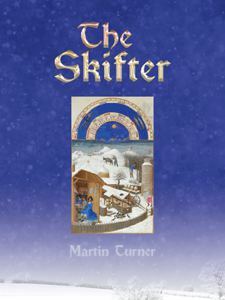 This adventure romance, where a unity brought about by experiencing the same extraordinary events brings a couple together into a deep and permanent relationship, is slightly dismantled in the sequel film, [amazon_link id=”B0009RB5BC” target=”_blank” container=”” container_class=”” ]The Jewel of the Nile[/amazon_link] — possibly the writers felt that the adventure romance wasn’t going to last. Adventure romance is also the final pairing between Han Solo and Princess Leia at the end of Return of the Jedi. It’s made clear in the final section of Star Wars that both at the superficial level and at the profound level, Leia and Luke Skywalker have got much more in common, whereas Solo shares neither Jedi glamour nor the underlying commitment to the rebel alliance. Things seem set for the kind of romance that is often referred to as ‘fairy-tale’ (largely by people who do not read many fairy-tales) but is liable to be banal and uninteresting. It is, of course, not until the third film that we discover that Luke and Leia have so much in common because they are brother and sister. Naturally, in the vast majority of cases, nothing in common at any level simply results in… nothing. There is a regrettable variant on this, which is the wish-fulfilment story, where the Heathcliff character turns out to be a rough diamond who can be rescued by marriage to the sophisticated Isabella. I shall say no more about this. If this all seems perhaps a little mechanical, then this is because it is. These are implicit expected results from pairing that wise audiences notice and expect. But events can still shape them. The Cocktail Party is perhaps a slightly odd, even awkward example of this. Rom-Com (as a genre) is perhaps slightly unusual in that most people who watch it really do want things to turn out at the end as they are clearly meant to at the beginning — though we expect to be taken on a difficult ride to get us there. From the moment that Julia Roberts walks into Hugh Grant’s bookshop, we know what we want to happen, by sharp contrast with a mystery thriller, in which we know that the sinister man without an alibi is going to turn out to be at worst a red herring, and it is really the kindest and most inoffensive character who is most likely to be guilty. 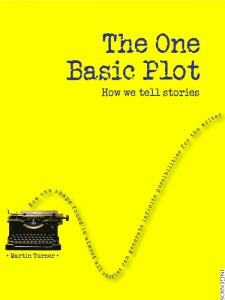 For writers, though, it is worth being aware of the natural trajectory of a story — whether you intend to fulfil every wish and expectation, or to subvert the genre, or to bring about a powerful transformation by means of the plot.